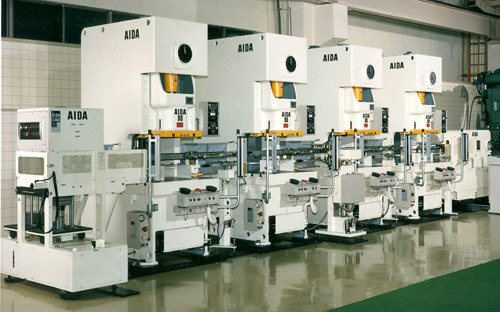 What Makes AIDA Gap Frame Presses Different? 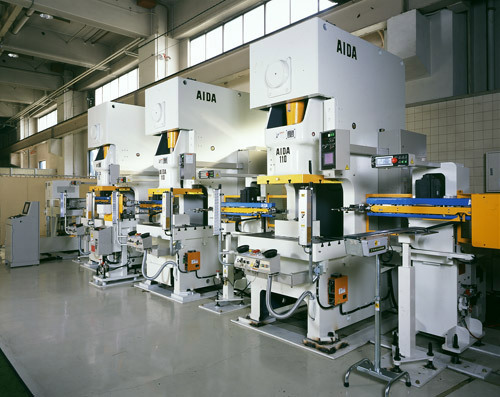 Like all AIDA NC-series gap frame presses, the NC1 Single Point Gap Frame Press uses a welded steel frame, cast iron slide, and over-sized cast steel bolsters. 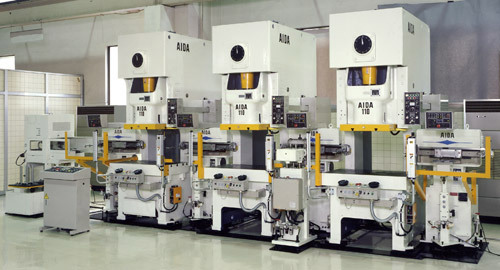 This enables the press to deliver angular frame deflection that can be as little as 1/3 of competitive models, ensuring longer die life and higher part quality. The wet clutch (standard) is immune to heat build up and its detrimental effects on performance that plague air friction clutches. And a wet clutch virtually lasts forever with minimal maintenance and can provide up to four times the single trip cycles per minute of an air friction clutch. 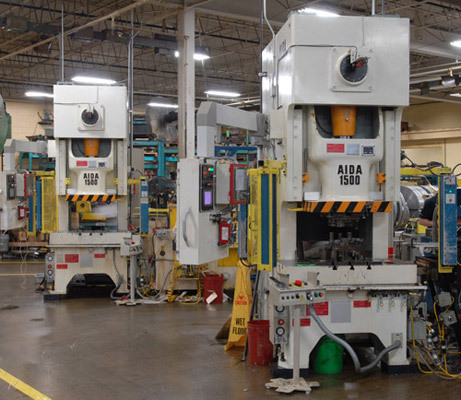 AIDA's Hydraulic Overload Protection System (HOLP) provides the industry's fastest response time, adjustable trip level, and an "unstick" switch that frees a slide that is "stuck" on bottom in a matter of seconds to minimize downtime. 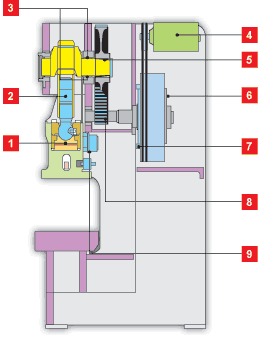 The advanced control system brings a level of flexibility unheard of in the category. 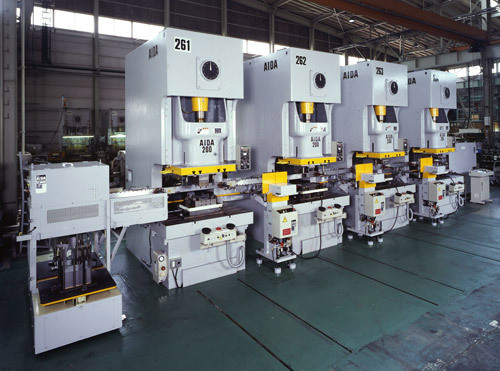 Add a six-point slide guide system and 25 other features and the result is a gap frame press that dramatically limits factors that can shorten die life.